Warm Up this Winter with Campbell's Organic Soups! Well, I know spring is supposedly on the way...but here in Minnesota it is still cold, snowy and icy. So what do we do to stay warm here in Minnesota? We need warm, tasty soup! And what makes me happiest of all, is when the warm, tasty soup is organic and easy to make! And I get that from Campbell's with their great organic line of soups. They have such a great variety of organic soups including my favorites Tomato Basil and Chicken Tortilla. And the Chicken Noodle is great for those sick days in our house. So make sure to warm up this winter with Campbell's organic soups! They have a great variety and you are sure to find a favorite that is easy to make and tasty too! 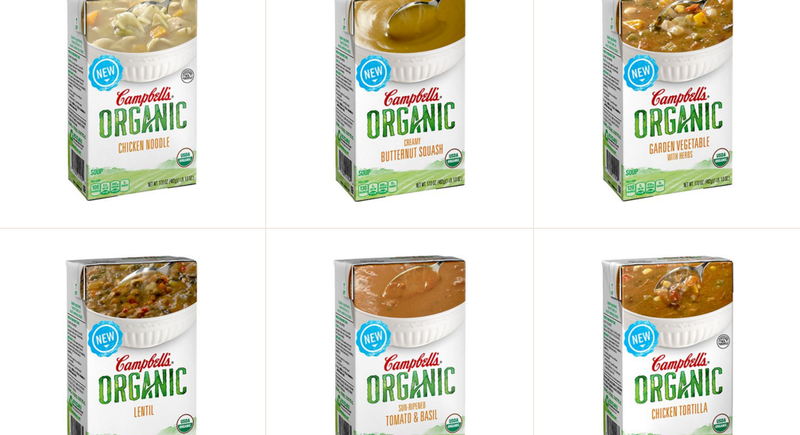 You can purchase all Campbell's organic soups at your local grocery store.